Hater Dating App Review: Pros/Cons; Better Than Tinder? Is the Hater dating app better or worse than other popular dating apps like Bumble, OkCupid, or Tinder? How does it compare to those other options? We gathered information from many people who tried the Hater app, and here is our summary of what they had to say. • Hater is a swiping app, like Tinder, so you’ll already know how to use it. • Making a Hater profile is really, really easy. With the exception of choosing photos, all you need to do is pick some hates, dislikes, likes, and loves, and that’s it. You can pick from stuff people already hate. You don’t have to worry about writing a bio. • You can use Hater’s fun multiple-choice questions in place of writing a first message. This takes so much of the stress out of starting a conversation. Hater’s icebreakers are creative and fun. • Hater doesn’t give you many specifics about a person. As you’re swiping, you see the person’s pics, their age, and what they hate/dislike/like/love. You don’t see education, or job, height, or anything else that might end up being a dealbreaker. • The Hater app has some technical problems — its Android app especially. Some users complained about the app being slow and crashing. We think the Hater app is worth a shot! You could say it’s more fun than Tinder, Bumble, or OkCupid. You don’t have to write a bio or first messages. The Hater dating app may be especially good for you if you’re the type of person who doesn’t look good “on paper,” since you don’t have to disclose your profession or education level directly on your profile. How to guarantee you’ll meet someone 🔥 on Hater? Seriously, you can’t underestimate how much good pics matter — on ANY date app. With the wrong pic, you can end up with 0 matches. The right pic can change your dating life completely. 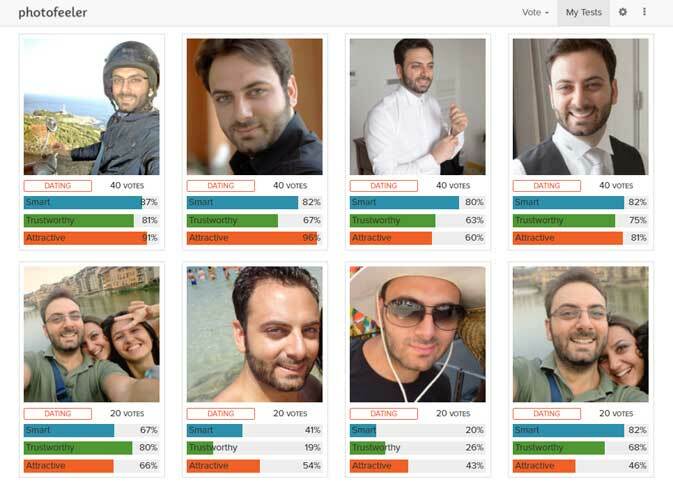 Test your dating pics on Photofeeler to make sure you’re using your best ones.